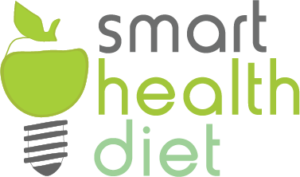 The Key to Health -GI Smart - Fat Smart. The GI Foundation SA endorsement logo is a third party verification that the endorsed product is indeed what it says on the packaging. 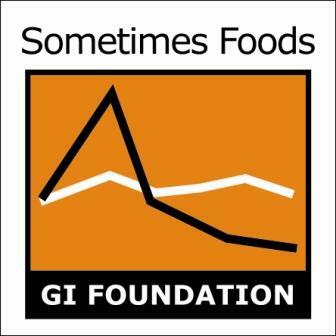 The GI Foundation SA endorsement logo is an easily recognisable logo that was developed for both the consumer and food industry to identify the GI rating of food product and distinguish it from other seemingly similar products. 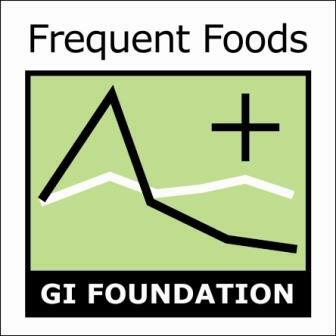 The GI Foundation SA endorsement logo was created to provide the community with the opportunity to make healthy, low GI, lower fat alternatives and, by doing so, to prevent the onset or alleviate the symptoms of diseases of lifestyle. It gives the health conscious, diabetic, hypoglycemic, cancer, overweight, hypertension, and cardiac sufferer the opportunity to live longer, remain stronger or even prevent lifestyle diseases by choosing healthy, low GI, lower fat alternatives. Endorsed products bear the GI Foundation SA endorsement logo and are lower in fat, have a GI rating and reduced sodium. The logo appears on selected products that comply with strict specifications and are available in most supermarkets. 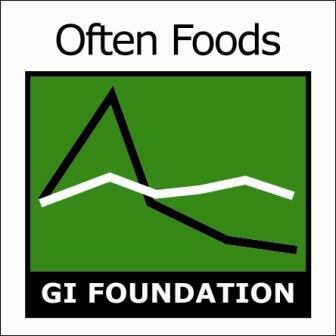 The GI Foundation SA logo indicates that the endorsed food is healthy, has a lower fat content and is suitable for diabetics. The logo was developed to protect the public from making unhealthy food choices which might, eventually, affect their health. The aim of the GI Foundation SA logo is to enlighten the public and those involved with food processing that endorsed products are recommended as being healthy and suitable for people suffering from any of the diseases of lifestyle. The diabetic community has, for decades, unwittingly been excluding a host of delicious, legal foods from their diets. In fact, before in the inception of the Glycemic Index (GI), health practitioners were actually prescribing foods which were harmful! Over the past three decades, the GI has been refined and is currently recognized internationally as being the best and most accurate method of assessing the effect that any food has on blood glucose levels. In an attempt to clear the misconceptions of the past and to incorporate new research findings, the Food Legislation Advisory Group (FLAG) suggested the development of a standard or set of specifications for the food and health industry. This would enable the food industry to market their products as being healthy, low in fat or suitable for diabetics. Together with leading dieticians, specifications were developed for the GI Foundation SA logo. 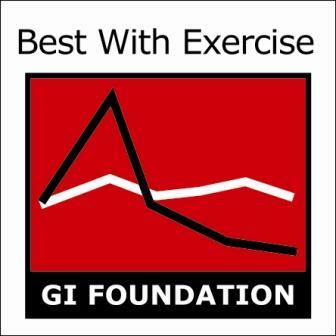 The GI Foundation SA specifications classify food products according to how suitable they are for use by people suffering from diseases of lifestyle. Foods are rated according to their GI and their effect on overall health in respect of total fat, saturated fat, sodium, fibre and sugar content. The GI Foundation SA logo is available in four different grades – green plus, green, orange and red, with different criteria for each grade. This grading has been developed through consultation with nutritional experts and has been approved by the Department of Health and Welfare. Please see the specifications for more details. are very low fat, low GI products. The green+ mark means that the product has been tested and found to have minimal effects on blood glucose, blood cholesterol and/or blood pressure levels. In addition, the product is virtually fat free, is manufactured from ingredients considered to be free of health risks and so may be eaten freely. What distinguishes this product from the ‘green group’ is the fact that it is aimed at the health-conscious and those who follow a fat-free or extremely low-fat diet. are low fat, low GI products. The ‘green’ mark certifies that the product has a minimal effect on blood glucose, cholesterol and/or blood pressure levels. The product contains ingredients considered to be healthy when eaten in normal amounts. These products pose no risk to health even to those suffering from diseases of lifestyle. 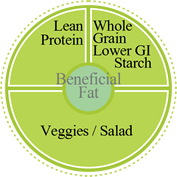 are products with an intermediate GI and lower fat (but more than the green+ and the green). These products are safe for those suffering from certain medical conditions, but only in limited servings. The maximum recommended serving will be displayed on the packaging. indicates high GI products and, although generally unsafe for diabetics, have certain useful applications. The “red” products are excellent for preventing fatigue and boosting energy levels after, or during prolonged strenuous exercise. It can also be used to lift a diabetic out of a “low”. The packaging provides information regarding the benefits and dangers of this product.